Hello San Francisco!! !...Oakland, Here we Come! Denny Jump (Bellevue, WA, United States) on 17 February 2019 in Cityscape & Urban. 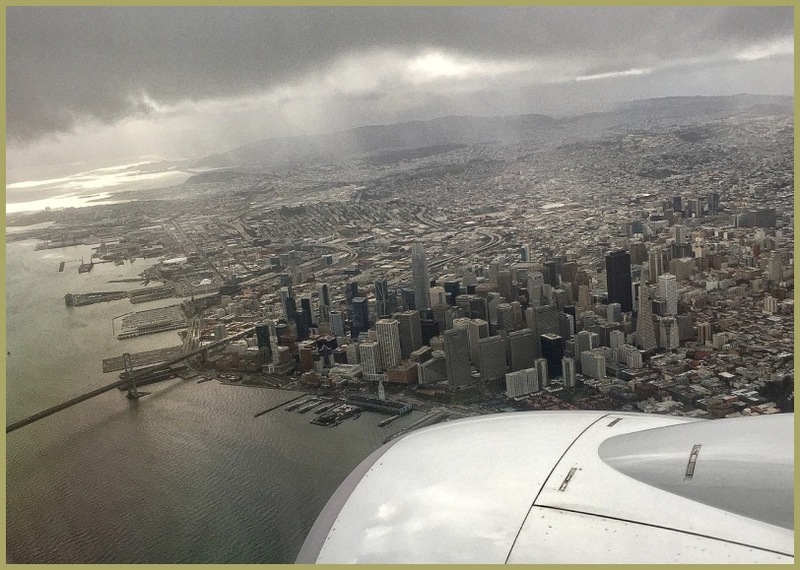 I captured this view of San Francisco as we were flying from Seattle. We were heading to Oakland Airport, (out of the picture to your left) on the eastern shore of the bay. On the shore To the right If you look carefully, you can see the the little white building with the pointed top.....well, that is the famous San Francisco Ferry Building!....Many decades ago, it was the tallest building around, Now It is literally dwarfed by the other buildings that rest behind it! Every workday morning our son David takes a ferry from Vallejo (behind you) to his work location which is in one of those tall buildings that rest behind the Ferry Building. With the distant clouds and light rain, this was a pretty fun scene to enjoy. Kinda scary to see this view of how our cities get more densely crowded and the buildings get taller . .
@Ralf Kesper: Thank youverymuch, Ralf! A great look at one of the worlds Great cities. Have a great time Denny. A beautiful view of the city. Wow, great aerial shot. I love having the window seat and shooting the interesting thing I can see unless we are flying through clouds. Great view from the window. Good detail in the city and a bit of mood added by the clouds and rain. Nicely taken Dennis.